I will persuade anyone who is willing to listen that Hanoi is at her best in October. When alstonia scholaris flowers-hoa sua– stink streets at night, and leaves turn yellow gradually against dry breezes blowing summer-leftover heat, you will have no choice but fall in love with her. When October comes, Hanoians hastily buy Vaseline for their lips and blazers for the winter. The city celebrates her independence day with flowers and flags at every corner. Scooter-ing along the streets could give you an odd feeling of certainty that autumn has not changed throughout her thousand years of age. This October, I sang Crawling up the hill the day after I left my dream job, hummed random made-up tunes to entertain my newborn nephew, and started working in coffee shops again. I am stocking up with the sun, the smell, the feel of Hanoi before I will leave my birthplace again. I hope I could keep pieces of her in my heart for nostalgic days to come. Just wonder if she would keep a place for me among all hustle and bustle. I learned to walk on ice. . Bruises on my palms say that I wasn’t very good. But my boyfriend didn’t want me to reach out for him while losing balance. Mean! Life is mean I guess. Or else you will never learn. He helped me up the dozen times I fell though. 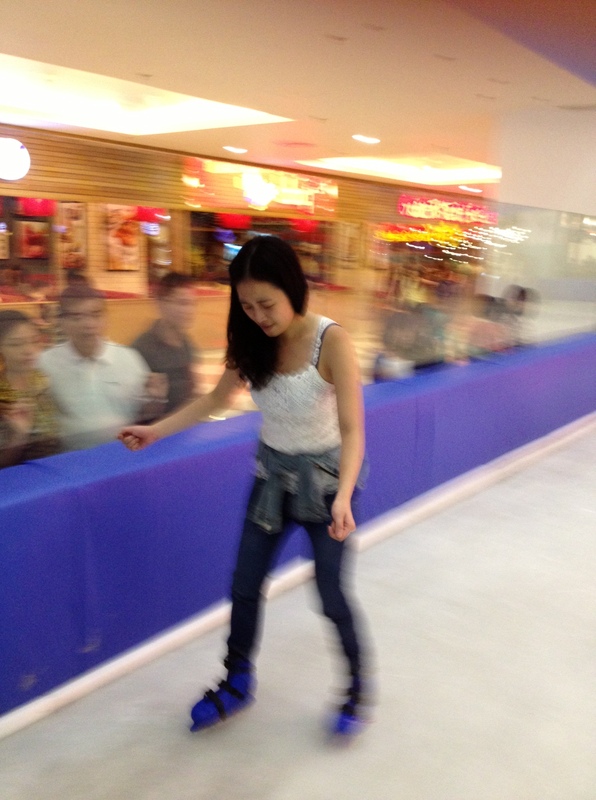 One day, I will be able to walk on ice, at least with less bruises. I rarely see sunrise in Hanoi. The city is packed with houses and buildings and spares very little room for a decent view. More so, busy city lifestyle normally means longer evenings and zombie mornings which only start very late after strong coffee. In the city, a glimpse of sunrise is a luxury, which I was thrilled to catch this morning driving to the hospital to see my newborn/three-hour old nephew. Doctors and nurses did not allow me to! Well, it was very early. The sun was rising still! But I am sure he is beautiful. All newborns are beautiful because with them life starts. Just like the gorgeous sunrise!